The desire for cheaper, speedier and more efficient cross-border transactions is fueling much of the innovation in the Western European financial world. “Although it drives the global economy, trade-finance processing remains in a time warp and hasn’t really progressed over centuries,” says Uzair Bawany, chief operating officer at Traydstream, a London-based fintech company that aims to shake things up. Newfangled ideas from emerging fintech companies are playing their role. But much of what passes for innovation in Western Europe is pretty basic, rooted in the push and pull of regulators and customers. Many advances reflect merely the adoption by the corporate world of best practices in consumer banking. Digitization and simplification are two big keywords for corporations, notes Steve Pairman, head of digitization and client access for Europe and the Americas at Standard Chartered. The automotive sector, despite its legacy industrial status, earned two of three Innovation honors for Western Europe. The other honor went to a retail bank that is aggressively tracking customer behavior to find simple ways to improve online access to traditional products such as savings accounts. Europe sometimes deserves its stuck-in-the-mud reputation. Many experts believe that the region lags behind Asia, North America and even Africa in financial innovation. “Some of the potential clients I visit will not allow Wi-Fi in the office,” notes one fintech entrepreneur. While Asia and Africa leapfrog here and there, Europe is “taking what existed and making it better,” counters Pairman. Yet a revolution may well be around the corner. Tech investment set a record in the UK last year, with fintech leading the way, according to London & Partners, the official promotional agency for the mayor of London. Fintech soaked up £1.34 billion ($1.81 billion), nearly half of total venture capital tech investment last year. The region has a plethora of accumulated knowledge, institutional infrastructure and legal prowess on cross-border transactions, notes Lind. Having trimmed everywhere else, bigwig multinational CEOs are expected to attack high fees on corporate financial activities. Sidelined by high borrowing costs, due in part to increased compliance burdens for banks, small and medium-size businesses appear ready to tap nontraditional, nonbank, often fintech-fueled sources of capital. “I don`t think the inefficiencies in the nonfinancial sector will be solved by banks,” says Lind. Having gone lean and mean, banks seem ready to partner with fintechs for the next stage. Given compliance issues, corporates will probably stick with major banks. It will be up to the banks to make deals with the fintechs. Traydstream is an emerging fintech that uses artificial intelligence to analyze scanned hard-copy documents for cross-border trade operations, thereby reducing what Bawany called days of shop-floor fact-checking and compliance work to mere minutes. Remitly wants to help the growing numbers of immigrants send money to their families back home more easily and cheaply. The price of remittances has been declining, from 9% or 10% of the amount sent to about 7%; but fintechs such as Remitly aim to push that down even further. Though based in the US, Remitly has established a foothold in Europe and plans to chip away at traditional leaders such as Western Union. 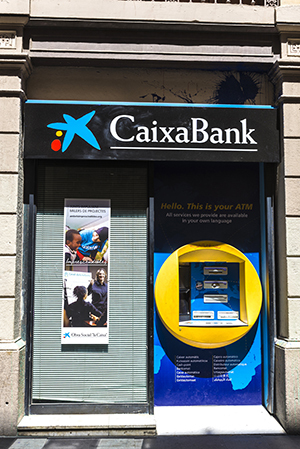 Spain's CaixaBank earned our nod for Financial Innovator—Western Europe. Its basic strategy is to combine personal customer research with data about online use to find better and easier ways for customers to access typical products online. For instance, CaixaBank has adopted “stop-and-go” procedures for online applications for things such as car insurance. This was borrowed from online retailers: If your session is interrupted, the website remembers what you were doing so you can come back later without having to start all over. CaixaBank also studies behavior on social media such as Instagram. “The first thing is to identify the customer needs and then to build a solution,” says a bank director. Not all innovations in finance are financial. This year, one of our favorites is the partnership between BMW, the famous German car builder, and L Marks, a young investment fund that’s branching out. The two are collaborating to build bridges between start-ups and big companies, and earned Corporate Innovator—Europe honors as a result. Starting in the UK, and now branching out to Japan and the US, BMW and L Marks organize “labs” that bring promising young companies under the BMW umbrella for a few weeks to see if they can develop useful products. 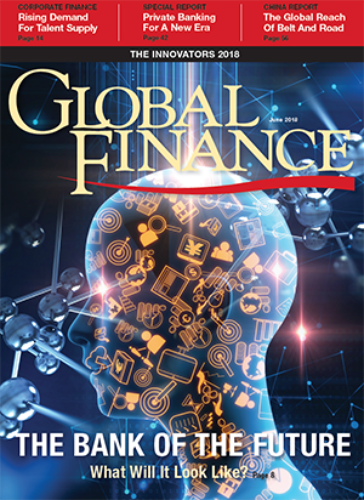 Many participants have no connection to finance, but the list relevant to the financial sector looks impressive: Cazana allows companies to get a view of secondhand value and pricing trends; Divido is a cloud-based credit outfit; Drover bridges the gap between short-term car-rental companies and long-term lease providers. The list goes on. But L Marks has strict criteria for its client-partners. “All of the companies we work with have an efficient bottom line,” says CEO Daniel Saunders.